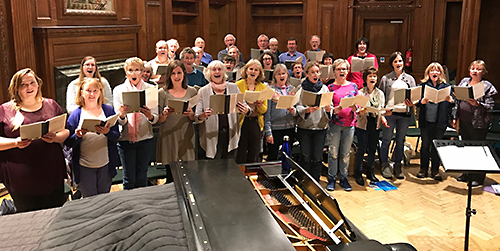 Thames Voyces is a chamber choir based at South Hill Park Arts Centre in Bracknell, Berkshire, attracting choral singers and audiences from many miles around the area. We pursue a love of singing through a wide repertoire of choral works from early music through to the present day, whilst aspiring to reach the highest possible standards. We are looking to recruit Basses . Sadly not the man, but a selection from his vast output of choral works, including 5 Childhood Lyrics, Birthday Madrigals and Magnificat. Thames Voyces holds an extensive library of sheet and other music. Download the Catalogue . To hire any music, please contact us.